Click here for detailed technical parameters. rotary wire line double or triple wall continuous core drilling. 800 liter/min mud pump capacity. 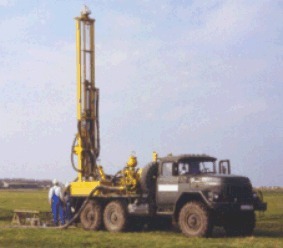 rotary wash drilling, continuous core drilling in 60 mm core diameter. SPT (Standard Penetrometer Test), equipped with digital data recording and PC data processing unit. 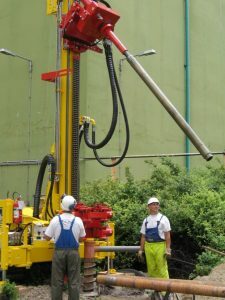 Boring method: augerboring (in 65 mm or 110 mm diameter) with noncontinuous coring. 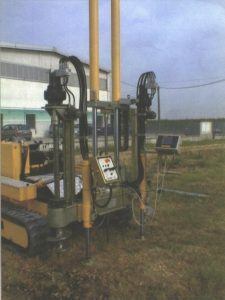 BORRO light soilmechanical auger rig; Depth capacity: 10,0 m. Boring method: augerboring with noncontinuous coring.